Complete the Registration Form Before Scheduling Evaluation. An evaluation enables the swimmer to be assigned to a class. The evaluation gives the new swimmer and family a chance to become oriented to the pool and our teachers prior to the start of their first lesson. Because of the developmental aspect of our program, we offer sessions that allow your family to continue within our program for as long as you like, at a time that fits your schedule. 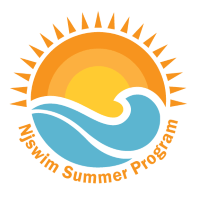 Once you enroll with Njswim, we can automatically roll your child into the next session at their current time slot or to more advanced groups as they progress. This secures your child’s preferred class time and allows our teachers to plan effectively. Follow the instructions to fill out the Registration Form and then schedule an Evaluation. Call or email us to book your evaluation today! Why does my child need an evaluation? Due to the nature of our small class sizes we do not post schedules on the website; we build classes based on common skill sets for each child and an evaluation enables the swimmer to be assigned to a class that is right for them. The evaluation also gives the new swimmer (and family a chance to become oriented to the pool and our teachers prior to the start of their first lesson. How long will the evaluation take? The evaluation takes only 1 to 3 minutes in the water. Once we evaluate your child, we will assign them a level based on our progression and present you with class options. Please arrive at least 15 minutes before your scheduled evaluation time in order to ensure you have enough time to find the pool, get changed, and be ready for your evaluation. What do I need for the evaluation? All you need for the evaluation is a bathing suit and a towel. We have goggles, swim diapers, and towels in the pool area available for purchase if you need. Please fill out an online registration form before you schedule an evaluation. What if there are no openings for my child at the time of the evaluation? Our office staff will work with you and your schedule to find the right class for your child. In the event we do not have an opening right away, we have the capability to add you to a waiting list for a specific class. As soon as a spot opens up, we receive an alert and will contact you to enroll your child. You may sign up for up to 2 waiting lists at a time to maximize your options. 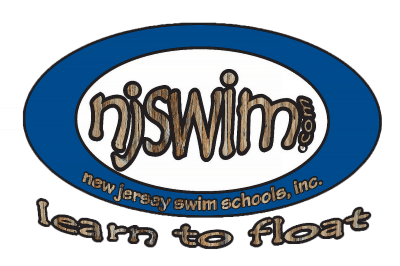 Thank you for making New Jersey Swim Schools, Inc. your choice for quality swim lessons. The goal of our swim school is to provide our students with safe, effective, and fun swim instruction.